A big thanks to Jean for hosting my talk last evening at the Rimbey Library. And thank you to everyone who came out to listen; it was a great honour to speak to friends and family in my home town. Thanks to Christine Hedges for bringing Fred Schutz, my mentor and inspiration. And what a family I have - my wonderful niece and nephew came out to spend their Friday evening listening to their old Auntie Birdie! Thanks again! 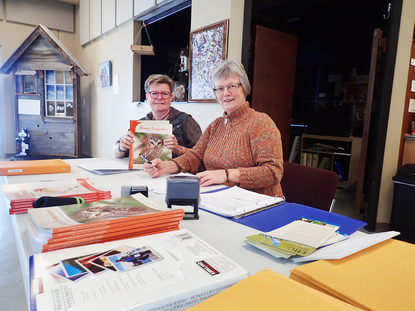 December 4 - New book launch at Kerry Wood Nature Centre, 2-4 PM. Everyone welcome! 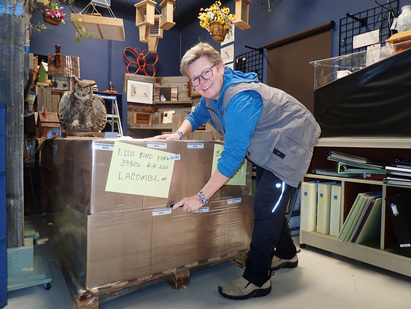 December 10 - Wildbird General Store​​ in Edmonton Noon-3 PM. Everyone welcome! Our Homestretch naturalist Brian Keating is back with a book that he thinks we should all be reading, or perhaps be giving as a Christmas gift. Listen to this episode on CBC radio show. 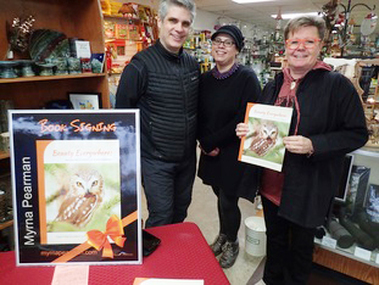 Thanks to Steve and Kay of the Wildbird General Store in Edmonton for hosting a very successful book signing yesterday! A big thank you to all who came out yesterday to support my book launch! 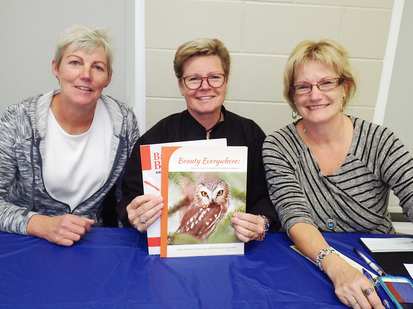 Over 60 people attended and Kerry Wood Nature Centre sold a record number of books! I was very pleased that Fred Schutz could attend. Fred has been a life-long friend and mentor who instilled in me my great love of nature. The book is dedicated to him. Fred also has a new book out - at age 96! 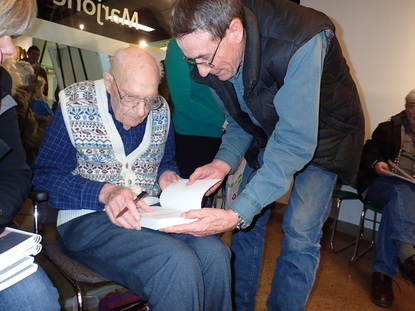 He is shown here signing one of his previous books for Jim Potter. The Beauty Everywhere cover photograph is of a Saw-whet Owl taken on Jim and Bonnie's beautiful property near Delburne. Many other pictures in the book were also taken at "Potter's Paradise." I am truly grateful to everyone who helped make this book possible! 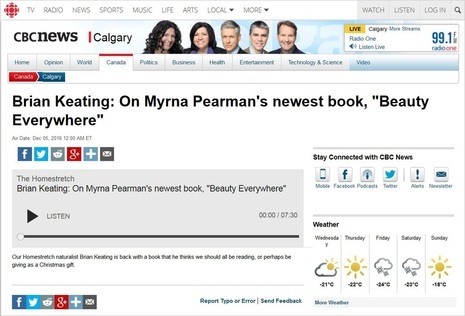 Myrna's new Beauty Everywhere books have arrived! Everywhere books. The book was enthusiastically received. She is shown here with her partner, Shelley, and sister, Sheridale.